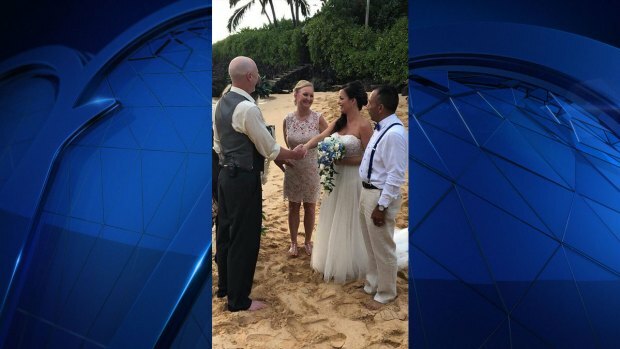 A freak boogie boarding accident at a Maui beach left a North Texas newlywed bride paralyzed with a broken neck. Now, friends and family are asking for prayers and donations to help bring her home. Nikki and Will Lewis got married in a destination wedding on Maui Sept. 8. Days later, the couple and their friends were at the beach when a wave crashed on top of Nikki's boogie board. 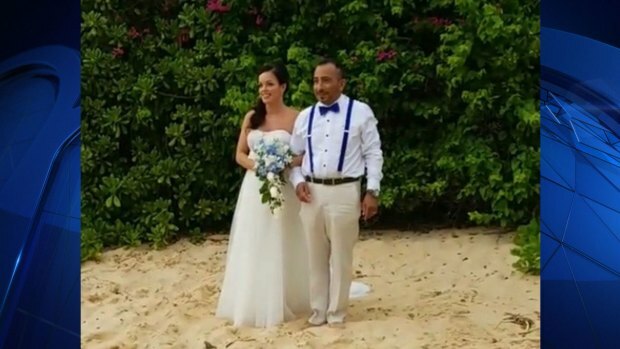 A freak boogie boarding accident at a Maui beach left a North Texas newlywed bride paralyzed with a broken neck. Now, friends and family are asking for prayers and donations to help bring her home, Wednesday, September 19, 2018. "I remember seeing her hopping on the board and the wave being taller than me," said friend and wedding guest Ja'Mikal Moorer through tears. "You say in your head, like, 'Get up. Get up!' but she didn't get up." Friends and strangers helped pull Nikki from the water. "For a while she was just unconscious and we all thought she was dead," said Moorer's girlfriend, Taycha Pillot. "It hurts to see someone so amazing to have to go through this just days after, you know, the perfect day." The family shared cell phone video with NBC 5 that was taken at the hospital this week. It showed Nikki slowly moving fingers and smiling. "To think that happened on their honeymoon," Moorer said. "You can walk out of your door and without even expecting it, you could be gone or in a hospital bed. So always tell your friends, your family, anybody close to you that you love them." Family and friends started a GoFundMe page to help pay expenses to get Nikki home to North Texas when she is medically able to travel. There is also a fundraiser Sept. 30, from 3 to 7 p.m. at Mary Heads Carter Park in Carrollton.